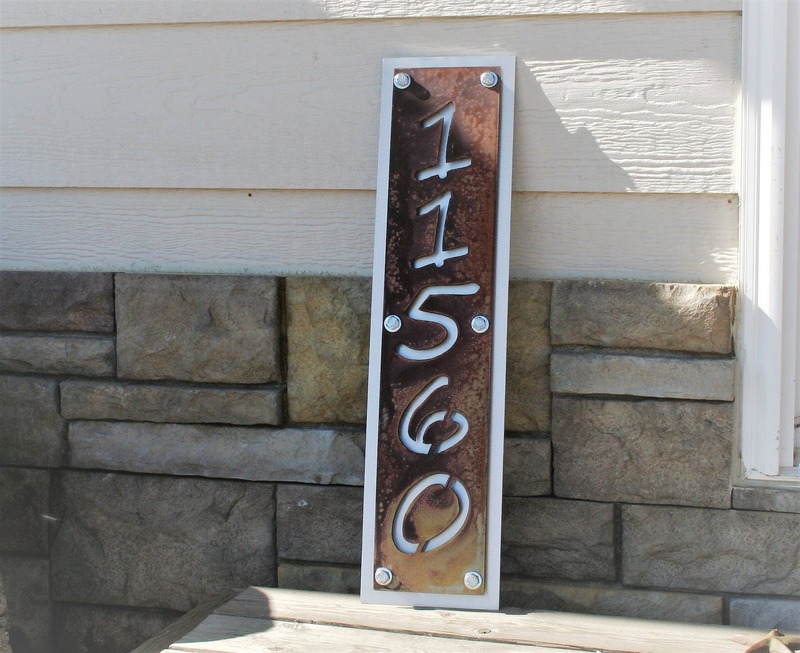 Rustic house numbers are highly visible! 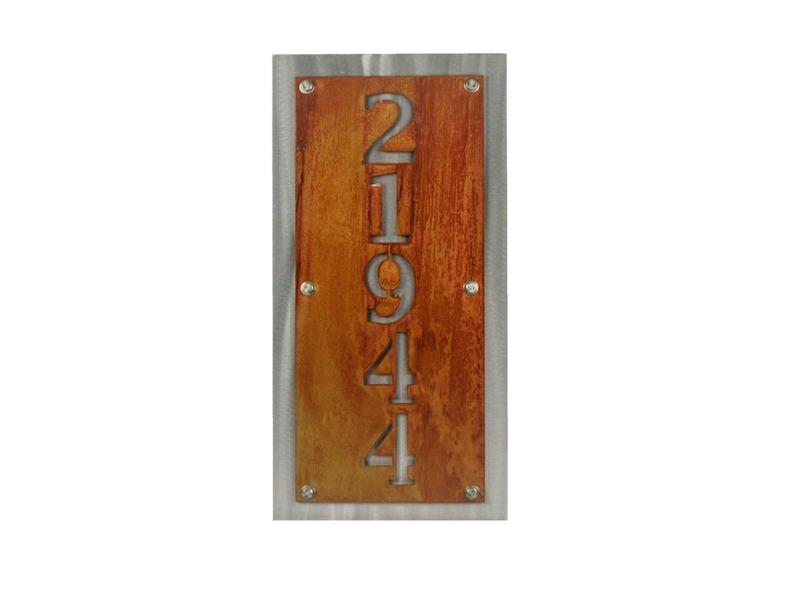 This address plaque is a beautiful addition to any décor! Sure to catch attention. 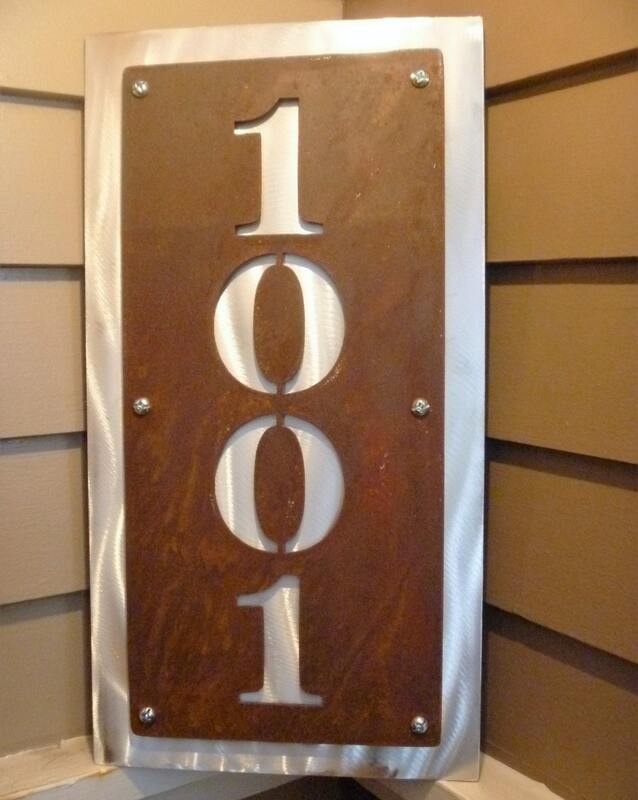 You'll never have to worry about guests finding your address number again. Shiny aluminum backing plate is polished for an eye-catching reflection in any light. 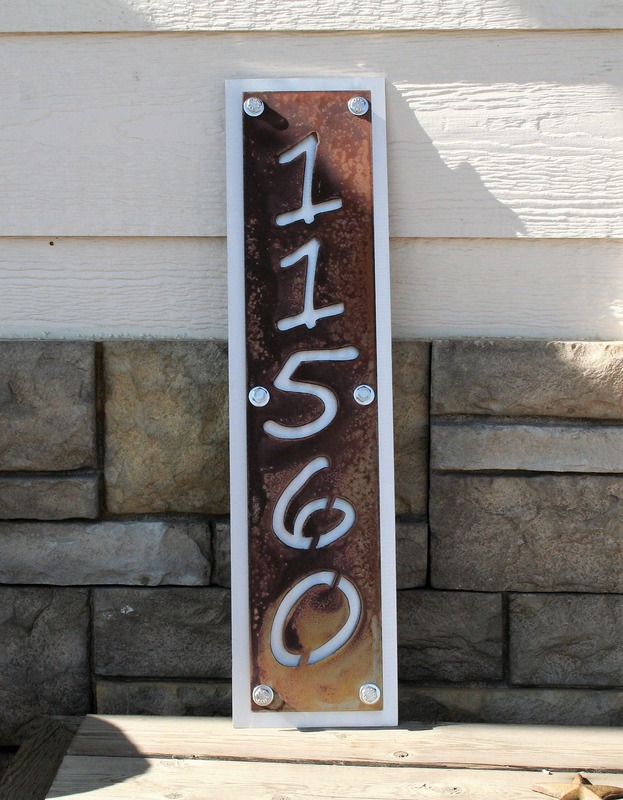 Rusted vertical name sign is attached permanently to the backing plate. This is a sturdy indoor or outdoor sign! This is a great wedding or anniversary gift! 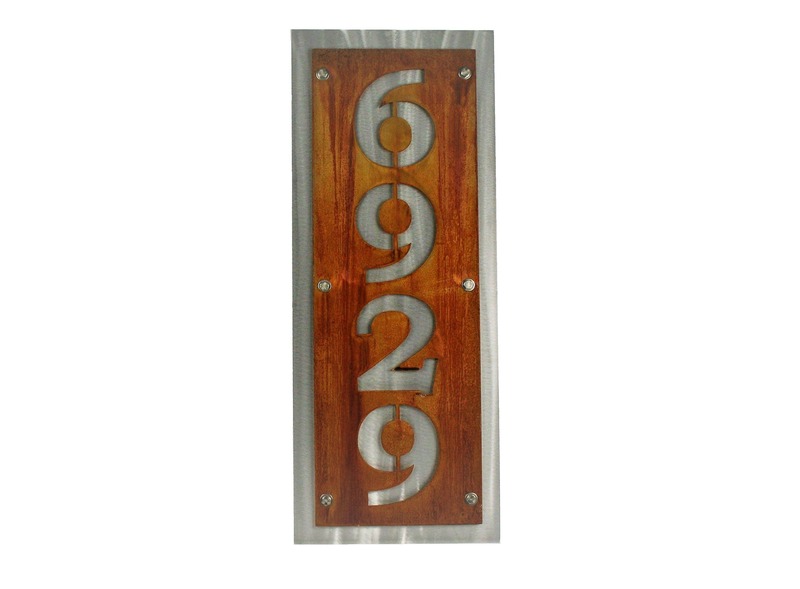 This beautiful address sign can be used for the wedding itself -- display it as a part of your reception décor, and then move it into your home. Normally rusted signs can stain your walls or other items, but with the aluminum backing plate your walls and home are protected from rust! Hang this sign in your entryway, on the front porch, the mailbox post or anywhere you like! Scroll through photos to the last picture for examples of each font. 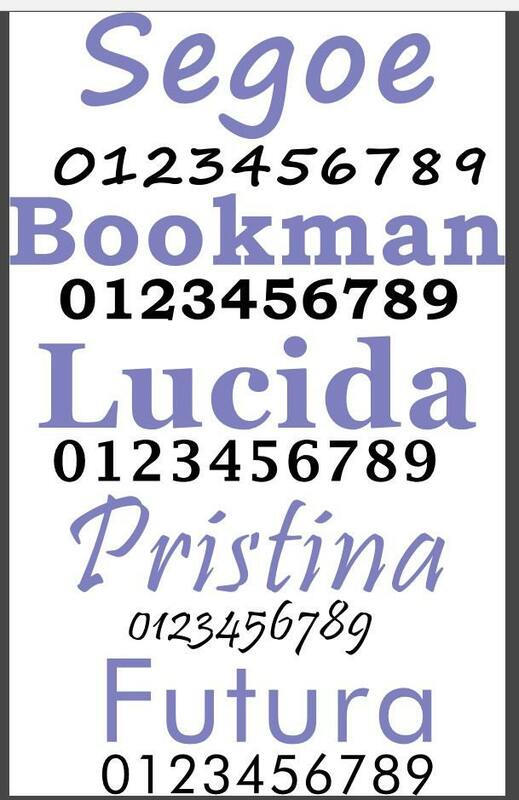 Example photos are shown in Segoe and Lucida. Choose your size from the drop-down menu. Your text will be used to fill the space. A design proof will be provided to you before we cut the sign, so please watch your inbox after purchase! Fantastic quality, excellent communication, and very fast shipping. Great product, built sturdy. Took 8 days to receive, arrived in great condition. Great price. Will order again, now I am trying to figure out what I want. this was my first Etsy buy. 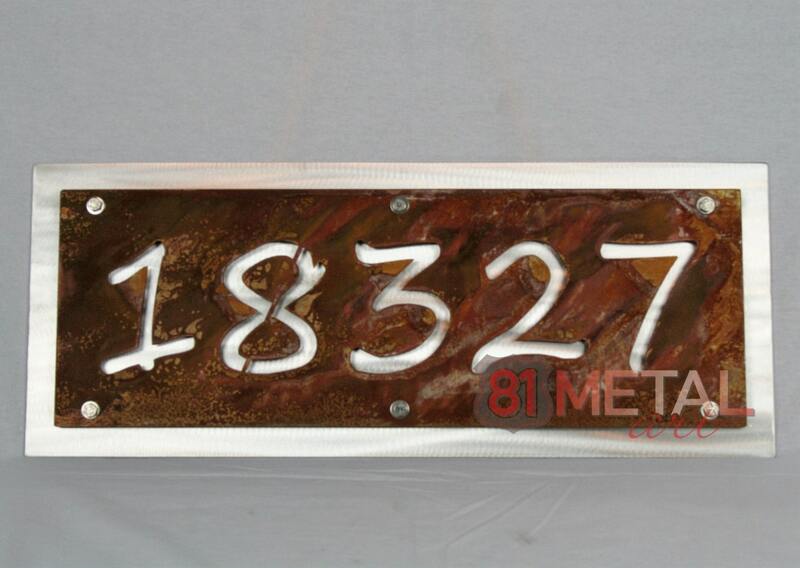 Thanks for putting effort into customizing my sign, I absolutely recommend 81MetalArt. So unique, well made. Love it! Communication with seller was on point. Great transaction.